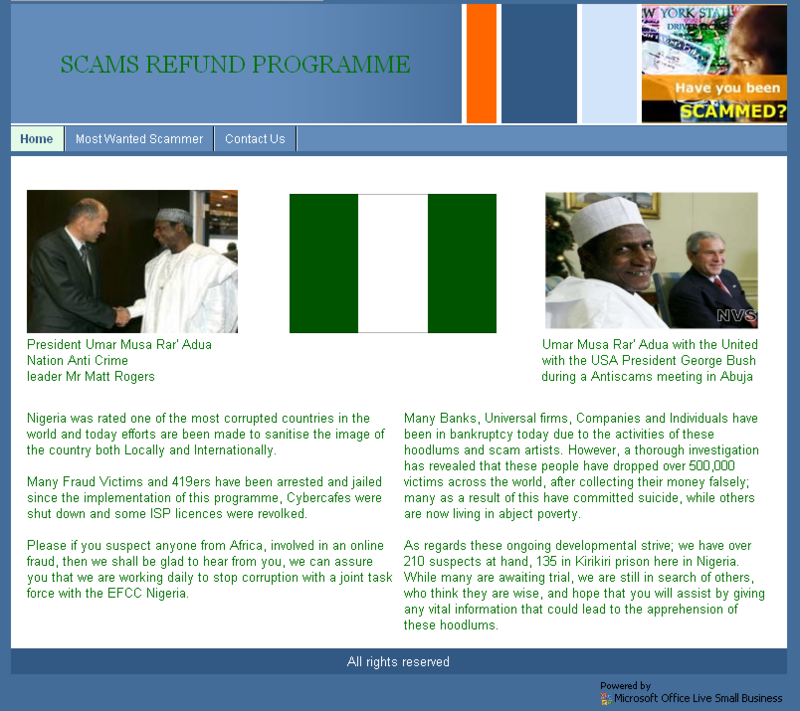 This email is not in any manner directed to you, but its purposely and specifically directed to Nigeria Scam victims. . However, if you have fallen for Nigerian Scams, do not hesitate to contact us or visit our website for more details on how we can help. I have been scammed by some Nigerians – they took $30,000 from me – how can I get it back? Thank you for responding to our mail, Please find the attached Application Form and fill it appropriately. Please complete the form and return to us for an immediate processing, ensure that you provide sufficient information that might lead to the arrest of the Scam Artist. Make sure that you attach all necessary proofs, facts and payment receipt made when transacting or communicating with the Scam Artist as this would help us to trace the true identity of the person behind the wall. 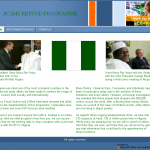 Under this act, the Federal Government of Nigeria with an effort to fight internet fraud and other immoral and illegal use of the internet, the government has also complied with the United Nations regulations in a recent meeting held at Abuja, the Federal Capital of Nigeria, to reimburse 150 scam victims. This is done to redeem the image of Nigeria both home and abroad. We are hopeful that your Application meets the required standard and thus qualify you for the reimbursement which would be done without any problem. Moreover, ensure that there are no discrepancies in the information you are submitting because we are going to speak with you over the phone and ask you some few technical questions as regards your application in order to authenticate your request. If you need further assistance, please do not hesitate to contact us, and if you experience some difficulty downloading the Application Form, kindly let us know so that we can resend it in another format or you log on to our website to complete the form.